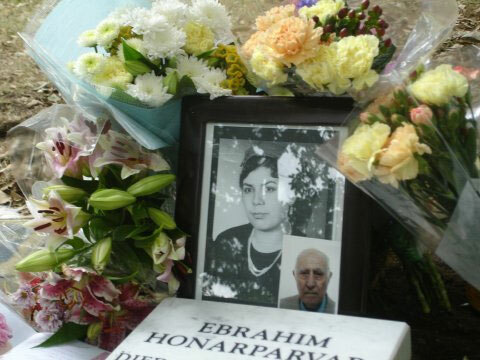 My grandfather (Ebrahim Honarparvar) died in 3rd of august 2006. I believe he lived great and honorable, and died gentle. No disease, no pain and no need to bed care upto the last moments of his life. He studied till his last days like his entire life. You can see his grave in Bournemouth, England, with my grandma's picture who died 12 years ago. My uncle Mohammad and his lovely family did their best for his great funeral and I have to thank them all. Dear Dani, Carly and Jemma, thank you all for your kind treat over past years to our beloved grandpa. I'm totally agree you and like what you said. "The only winning in love is the memories you've made!"